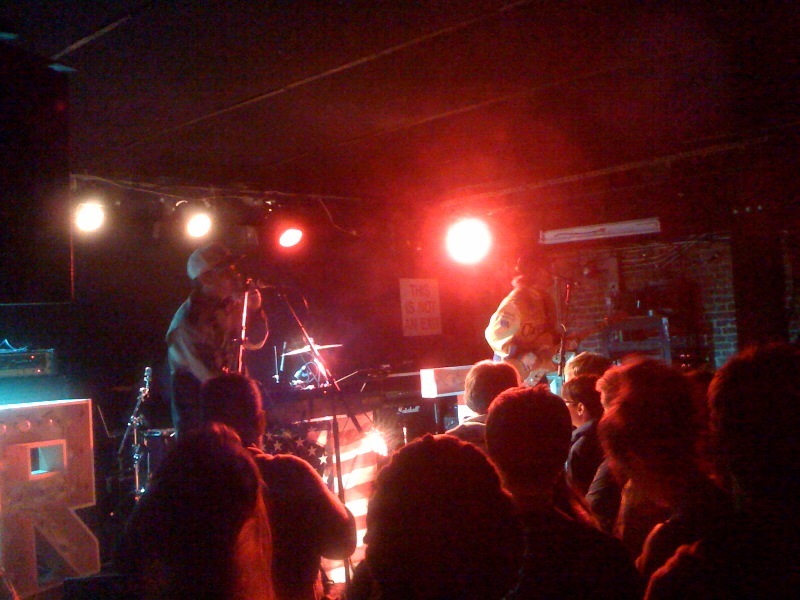 CMJ took over New York this week, bringing hundreds of bands and industry players to town. 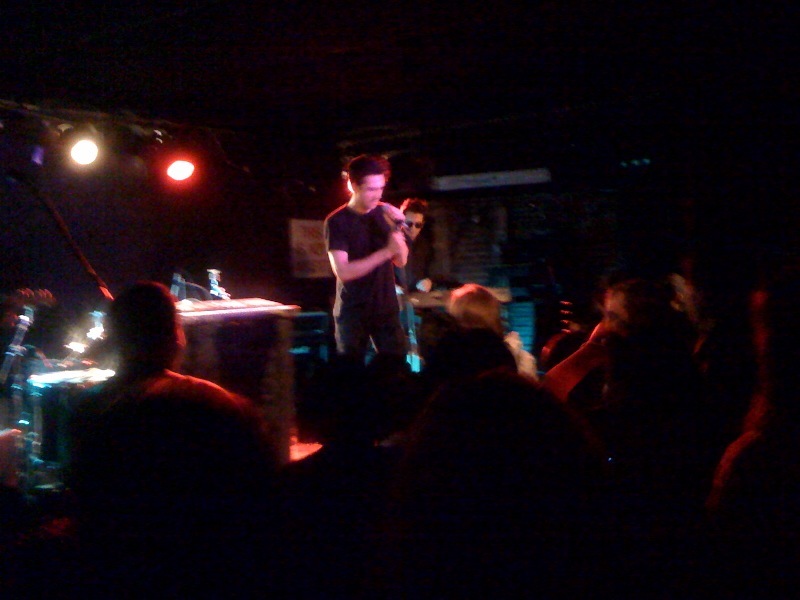 Last night I went to the Paradigm show at the Mercury Lounge. A tip for next year: eat before you go! Since these showcases typically start at 6:30 with venues not serving food and not allowing re-entry, you’re basically left to sustain yourself on booze and olives if you can swing it. The set started with Australian band Ume, which featured a forgettable female vocalist. It could have been because I was too distracted by my hunger, but I didn’t really remember anything about this band. Next up was Blair, which md described as “an ipod commercial”, which was true. However she reminded me of 90s female singer-songwriters mixed with a bit of Feist, and I thought the songwriting was solid. The peach colored pants were unforgivable though. Following Blair was an artist by the name of JBM, which md described as “subway music” in that he played all the instruments himself (looping and such). However subway musicians keep me more interested than JBM, as I found myself being lulled into a trance by the slow, methodical music. The next band was a stark contrast to JBM. Reptar, from Athens, GA which they never failed to remind us of after every song, was very schticky with costumes and choreography and a lead singer who imitated David Byrne. I felt they relied too heavily on sampling loops and novelty. Their best song was the last song in which they did not use a recorded beat. Finally the real bands took the stage. First up was Francis and the Lights, a much hyped-about band. Sure they were a little schticky as well (the lead singer’s name is Francis Farewell Starlite), but he definitely had a great stage presence and was highly entertaining to watch. I would highly recommend seeing them live, even if you don’t like their music style. Next was Dale Earnhardt Jr. Jr. another up and coming band. Their stage set up was very whimsical with light-up letters, light-up jacket and a telephone microphone. Their live show is much more energetic than their albums, and those expecting to hear the same sound will be disappointed. Finally at 1 AM, headliners Nada Surf took to the stage of the undersized Mercury Lounge. 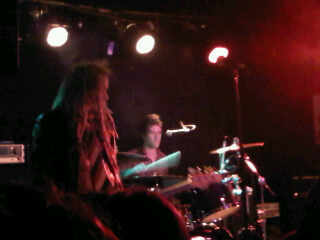 They played a good mix of old songs, newer songs, and covers. 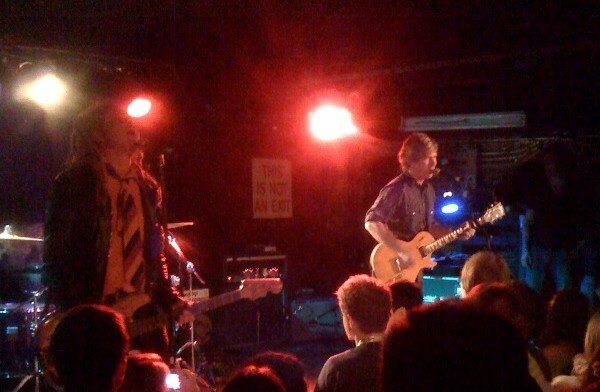 Nada Surf remind me of a time when rock music was rock music, without the decorations and embellishments, just rock. 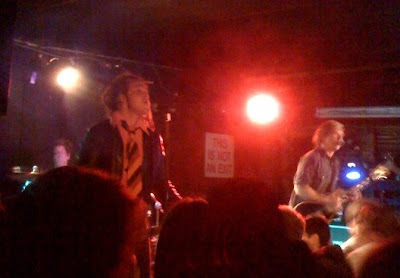 After an eclectic evening filled with bands that were trying too hard, Nada Surf closed the night with the reassurance that nothing can replace music for the sake of making music.